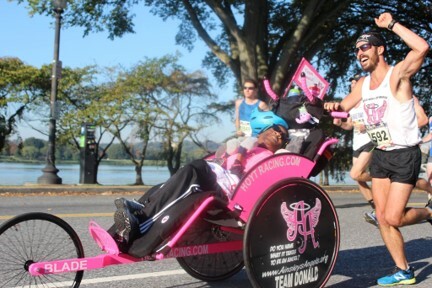 To add to the spirit of Ainsley's Angels of America, we call these adaptive racing chairs “Chariots” just as the Romans did in their Olympic games of days past. 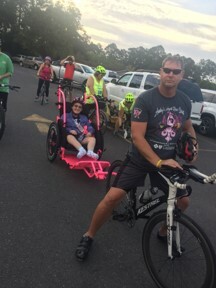 The Chariot is designed to help keep the Angel Athlete-rider safe, as well as safety for the runner, while giving the competitive ability to endure distances ranging from a 5K to an ultra marathon road race. ancient Greek, Roman, and Byzantine sports." Freedom Push Chair by Advanced Mobility has a capacity up to 200lbs/5'10" and features durable construction, rider recline, and quick fold transport. 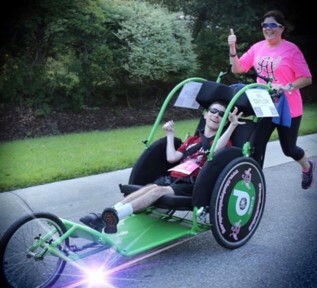 We have assisted hundreds of riders in getting one of these very affordable chairs through our tax-deductible FREEDOM CHAIR GRANT and discounted purchase programs. Click HERE for more information about or to purchase the Freedom Push Chair. Click HERE to request information about our FREEDOM CHAIR GRANT program. Team Hoyt Blade can be customized to service nearly any height or weight rider as well as the pusher. The chair is built for performance and comfort. We offer three options for this chair that includes shipping inside the US. The Blade is unique as it breaks down for transport and fits into a bicycle box! Also, there is the BLADE BIKE BOOM which can be added to convert the BLADE into a Bike trailer for triathlons. Build time is 4-6 weeks to ship. Click HERE to request information or to purchase the BLADE through our direct purchase/fundraising assistance programs. 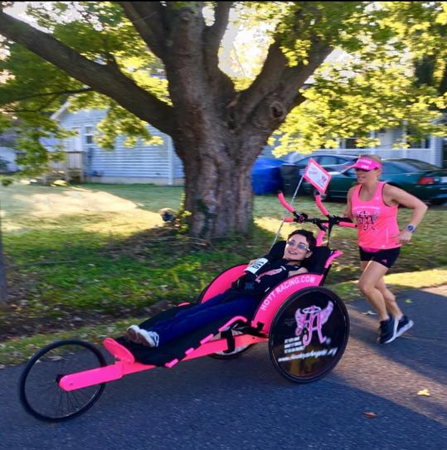 Axiom Racer Conversion by Adaptive Star serves as both a running push chair and quickly transition into be pulled by a bicycle. The chair can be customized to service any rider's size and can be enhanced with lateral support and head rests. Build time is 60-70 business days to ship. Click HERE to request information or to purchase the Axiom Racer Conversion through our direct purchase/fundraising assistance programs. Beautiful Pink Phoenix Push Chair, by Adaptive Star embroidered with the official Ainsley’s Angels logo. With a capacity up to 200lbs/5’10” and features durable construction, rider recline, and quick fold transport. 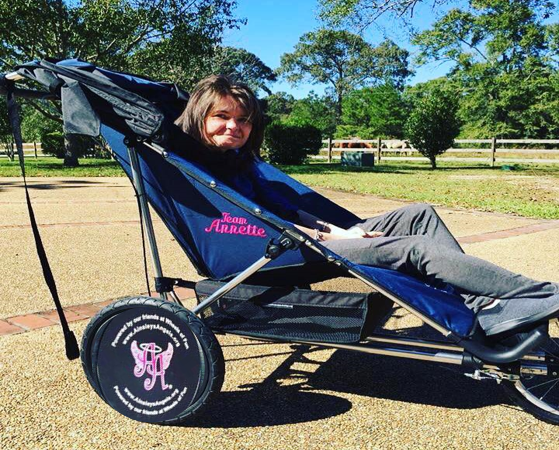 Ainsley's Angels of America is excited to and stands ready to assist you with getting either the Freedom Push Chair by Advance Mobility, the Axiom Racer Conversion by Adaptive Star, or the Team Hoyt Blade. From our CHAIR GRANT PROGRAM to organizational/business sponsors and community gifting, we offer multiple programs to accommodate many situations. 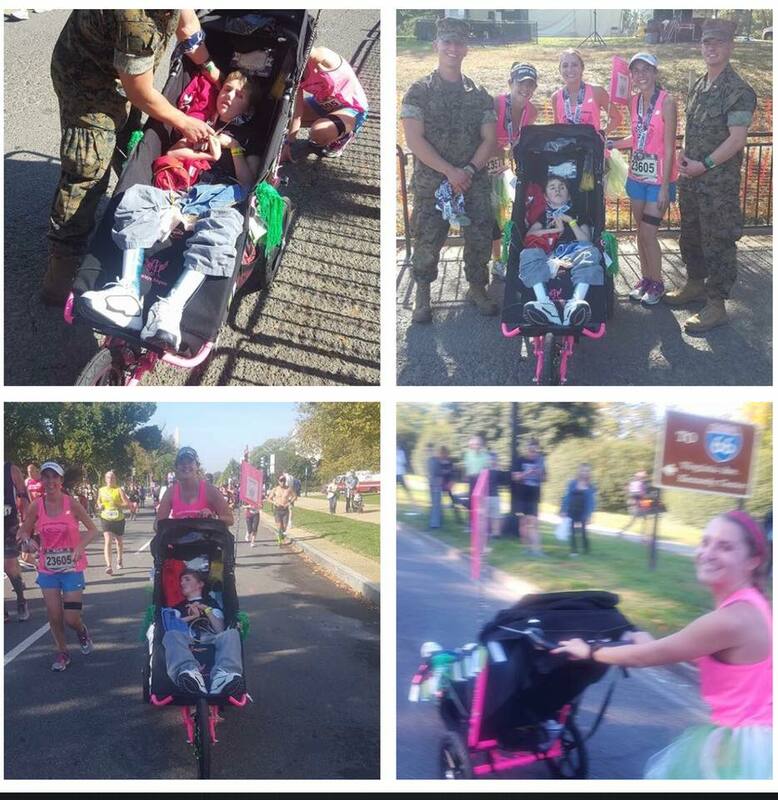 Ainsley has used her chairs in 100 road races (four Marine Corps Marathons) and we stand by all products! Click HERE for information about our CHAIR GRANT programs.